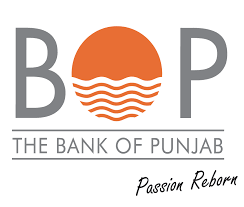 A press conference was arranged by the management of The Bank of Punjab on Friday with a view to take public into confidence with regard to affairs of The Bank of Punjab by highlighting the milestones achieved by the bank in last few years and its future strategy. According to a press statement, in the year 2007, the Bank of Punjab became talk of town due to scandals related to imprudent lending, mismanagement and looting of public money during the era of ex-president of the bank, Hamesh Khan. The nation was shocked to hear the numerous stories of malpractices and political mingling in the affairs of Bank owned by the Government of Punjab. The general public lost its confidence in the bank, resultantly deposits worth billions of rupees were withdrawn from the bank in matter of days, choking the very life line of bank. Accordingly, besides facing the wrath of depositors and shareholders due to negative media hype, the bank was unable to meet the basic statutory requirements. At that time, the bank was carrying one of the highest Non-Performing Loans Portfolio of the banking industry of the country. While the liquidity crunch made it hard for the bank to meet basic statutory requirements, the bank was also unable to meet required provisioning requirements. With such a high infected portfolio, weak management structure, inability to remain compliant with basic statutory liquidity requirements and completely tarnished public image, the bank was on the verge of total disaster and the very existence of the institution was at stake. During early part of year 2008, general elections were held in the country leading to formation of new Government in the Punjab under the leadership of Shahbaz Sharif. Being the majority shareholder, the issues related to The Bank of Punjab were on top of the agenda of the newly formed Government of Punjab. While exploring the various available options, including privatization and merger of the Bank, consensus was developed on making a final effort to save the financial institution through reorganization and restructuring. Accordingly, current Management of the Bank, headed by Naeemuddin Khan, took over the helm of affairs with a gigantic task of restructuring, reorganizing, rebuilding of public perception and regaining the confidence of all stakeholders. While taking over the helm of affairs of beleaguered financial institution in the concluding quarter of year 2008, the new management inherited severe key issues threatening the very existence of the institution. During that period, the Bank became target of public wrath due to negative media perception with regard to Harris Steel scam worth Rs. 8.4 billion. Further, disbursement of over Rs. 20.0 billion concessional loans to the Directors of the Bank (namely Colony, Ejaz, Chenab and Amtex Groups) undermined the oversight role of Board of Directors. At that time, two sugar mills of the family/ associates of the then Chief Minister were sold to Colony Group against funds availed from BOP. Owing to imprudent lending decisions of previous management, Bank’s NPLs surged to over Rs. 80.0 billion. Further, majority of loans were given to unviable businesses and that too against inadequate securities. On the backdrop of negative media hype, massive withdrawal of deposits to an extent of over Rs. 50.0 billion was witnessed which exposed the Bank to liquidity issues. Against required Capital Adequacy Ratio (CAR) of 10%, Bank was facing capital inadequacy of -14% (minus Rs. 20.0 billion) to support risk assets. The Bank had a very weak capital structure and it took about 2 ½ years to agree a way forward with Regulator. The Bank had a very weak Internal Controls system and ineffective Internal Audit function. A large number of staff was low paid and low caliber with a very weak Human Resource Management structure. In order to arrest the situation, new Management initiated the process of restructuring and reorganization of the Bank under the supervision of the State Bank of Pakistan and guidance of the Government of the Punjab. While implementing restructuring and image building strategies side by side, the Management remained fully focused on revamping and effective implementation of the business strategies. Further, culture of merit and transparency, with no room for slackness, was adopted across the organization as a trademark. The Bank had been taking pride in investing in human resource, with best resource being made available, trained, nurtured and equipped with latest tools of modern banking to serve the Bank in all facets of operations. Mr. Naeemuddin Khan apprised about the support of the Chief Minister (CM) of the Punjab and confirmed that the worthy CM has never interfered in the internal matters of the Bank during his incumbency of over 7 years. Being the first priority, recovery of inherited non-performing loans always remained the corner stone of the strategy of the Bank. Besides restructuring the Special Assets Management function of the Bank, all possible measures were taken; including legal battles both in courts of the country and abroad to recover every penny of public money and the Bank continued to remain resolute in this respect. Besides substantial recovery from the assets of defaulters available in the country, legal proceedings were also initiated for attachment of liquid and other assets of defaulters held abroad. While remaining focused on the agenda of achieving marked improvement in all facets of operations, the Bank put in place a comprehensive Internal Control Regime. The Internal Audit function was made independent to ensure its effectiveness. Further, to keep the Bank’s fresh relationships clean and transparent, the Risk Management Function was completely revamped to effectively manage all inherent risks. During the period 2009-Sep-2015, Bank’s deposits witnessed hefty growth of 117% over the year 2008 and touched the level of Rs. 356.6 billion. Further, the Bank was able to curtail the cost of deposits which declined to 5.32% from 10.89%. During said period, the Bank’s investments witnessed tremendous growth of 731% with major concentration in Government securities to improve upon overall assets’ risk profile. With a prudent lending to top notch business groups of the country and SME sector, advances portfolio was steadily built to Rs. 231.7 billion as on September 30, 2015 showing a rise of 54% over the year 2008 with a very nominal 1.2% infection ratio in fresh relations. With due efforts, the Bank was able to achieve 29% reduction in NPLs portfolio which now stands at Rs. 57.5 billion. During the period, the Bank’s total assets grew to Rs. 455.7 billion registering a growth of 145% over the year 2008, while the Bank also successfully achieved compliance with Minimum Capital Requirements. Further, Capital Adequacy Ratio improved to 11.33%. Similarly, the Bank’s Net Interest Margin (NIM) witnessed a growth of 615% over the year 2008 and has touched the level of Rs. 8.1 billion by September 2015. During the year 2013, the Bank introduced Islamic Banking operations under the brand name of “Taqwa Islamic Banking” and now Bank has a strategically located Islamic Banking network of 39 online branches. The Bank has been supporting Government of Punjab’s initiatives for poverty reduction and uplifting of under privileged segments of societies. The Bank has made history by transparent handling of vehicles distribution among educated unemployed youth under self employment schemes. While the Bank takes pride in handling largest lease portfolio in the country, a flawless recovery system has been put in place by the Management to handle portfolio of such a huge magnitude which has helped the Bank to achieve phenomenal recovery rate of 99.9%. Mr. Naeemuddin Khan informed that based on success of the schemes, other Provincial Governments have also desired for assistance of The Bank of Punjab for launch of such schemes in their provinces. Besides playing pivotal role in disbursement of cash assistance to flood victims through its vast network, Bank has also supported GoPb in disbursement of financial assistance to the needy persons under Khidmat Card scheme through its Branchless Banking System. The Bank has introduced Cash Management Services and several Alternative Delivery Channels such as Branchless Banking, Phone Banking and SMS Banking etc. While reiterating Bank’s stance to expand its assets’ profile within defined risk appetite parameters, the Management wishes to clarify that the Bank has financed various initiatives of Government of Punjab, such as Quaid-e-Azam Solar and Orange Line project, entirely on merit, in a completely transparent manner and on arm’s length basis, without exposing the Bank to undue risk. The Management is making all out efforts to grow the “Good Bank” and is successful in achieving the set goals. While substantial NPLs reduction has been achieved from Rs. 80.6 billion to Rs. 57.5 billion, the net NPLs (un-provisioned) now stand at Rs. 20.7 billion. Mr. Naeemuddin Khan highlighted that currently the NPLs of banking industry are about Rs. 630 billion. Resultantly, banking industry is currently facing opportunity loss of Rs. 41 billion per annum and Rs. 3.4 billion per month. The Bank has filed 2,538 recovery suits in courts of law during last 6/7 years. Besides 38 cases worth Rs. 44.8 billion have been forwarded to NAB under sections 9 & 31-D of NAO 1999 and notices to 24 defaulters for recovery of Rs. 13.5 billion have also been sent. However, in 64 cases amounting to Rs. 52 billion, courts have restrained NAB, SBP and BOP from taking coercive action against the borrowers for last 5/6 years. All these cases are pending decisions due to the restraint orders and NAB & SBP are reluctant to proceed with such cases. This interpretation regarding the orders is misinterpreted and the public money is stuck for last 7 years. No recoveries can be affected in such scenario and economy is also suffering.